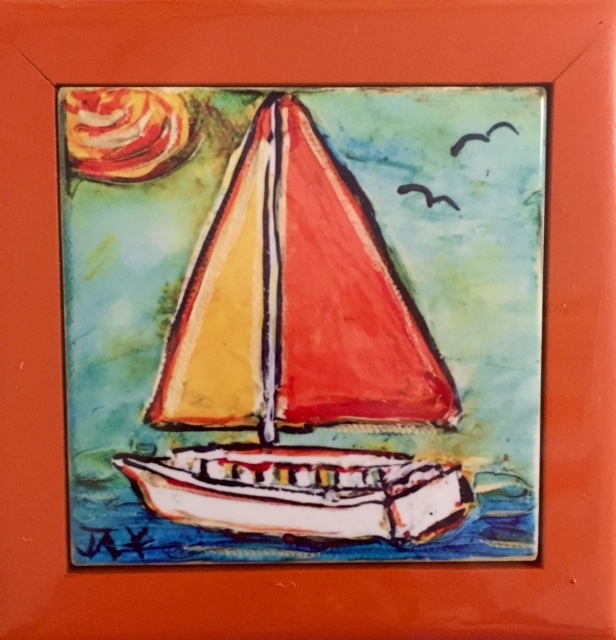 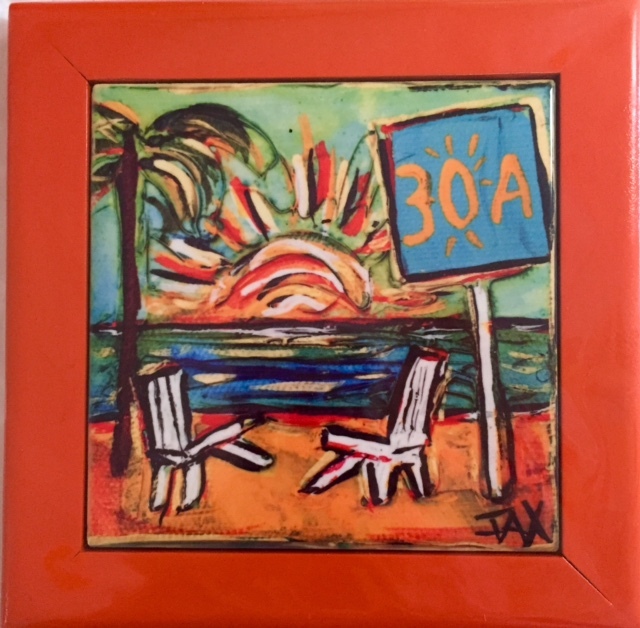 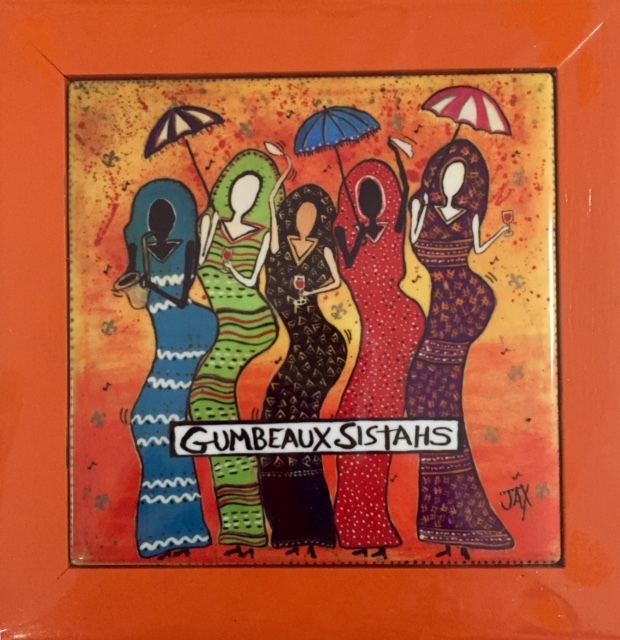 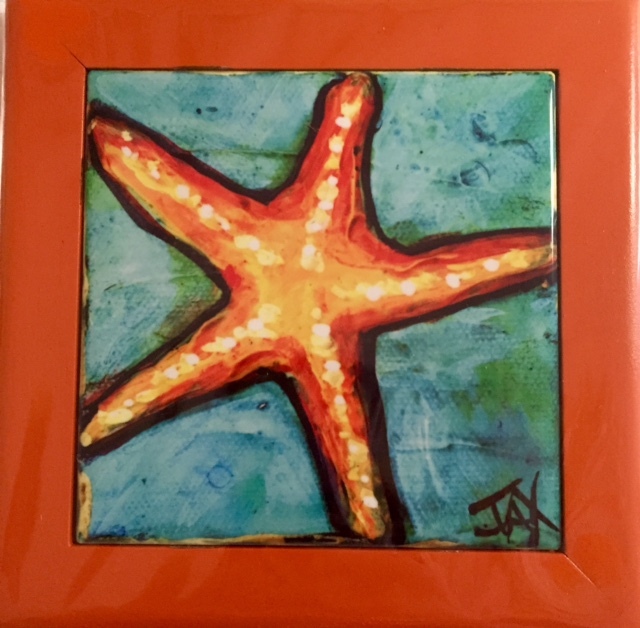 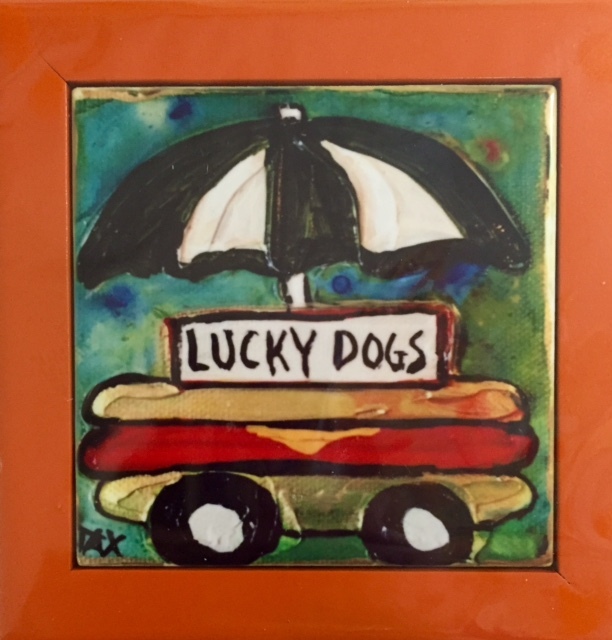 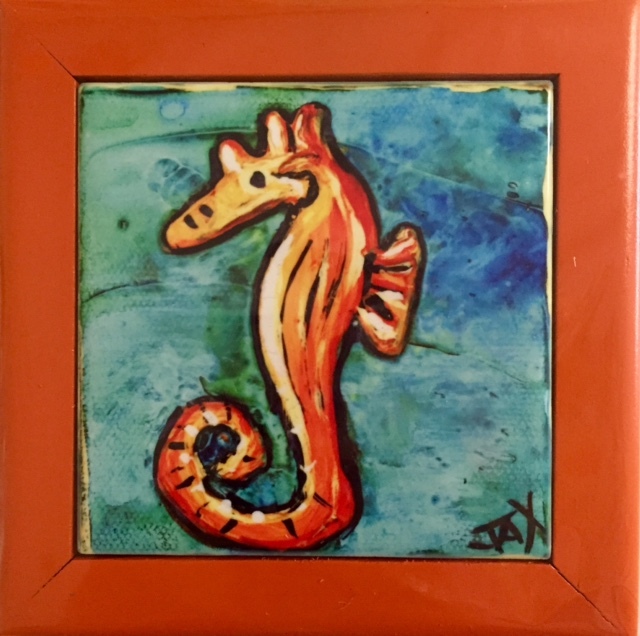 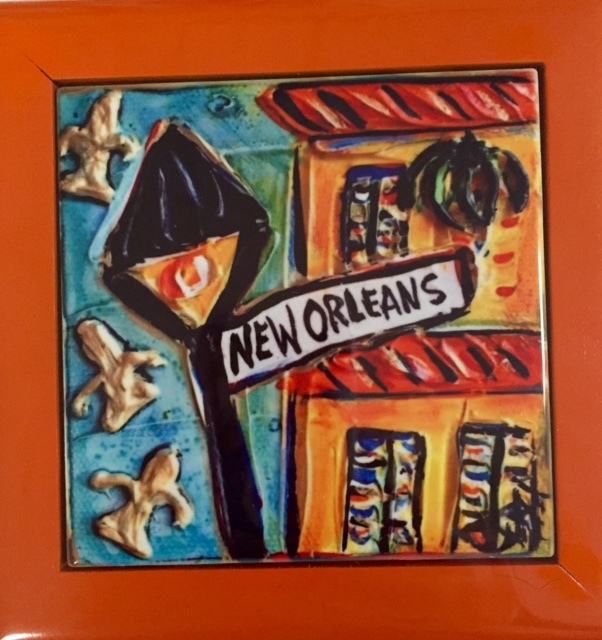 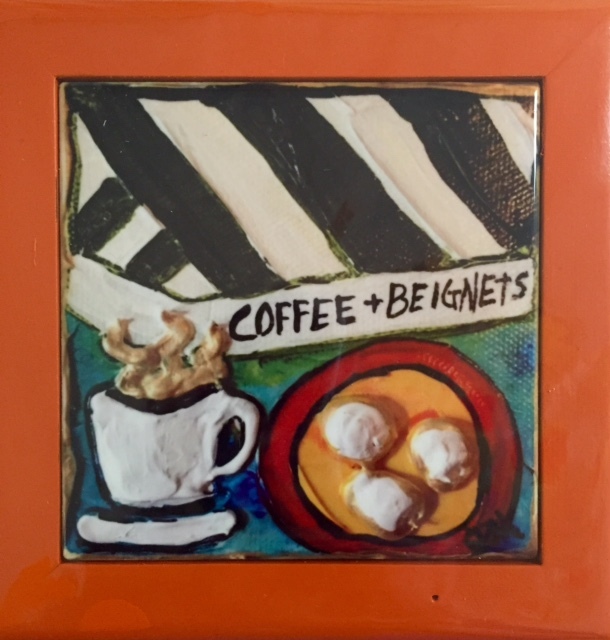 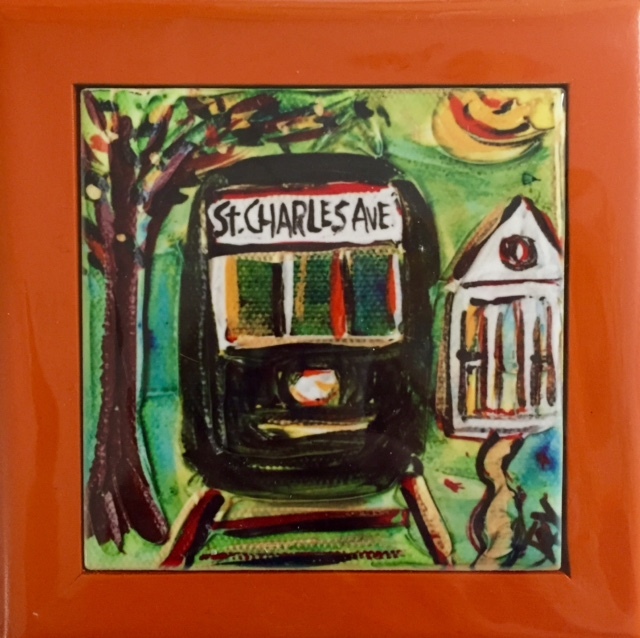 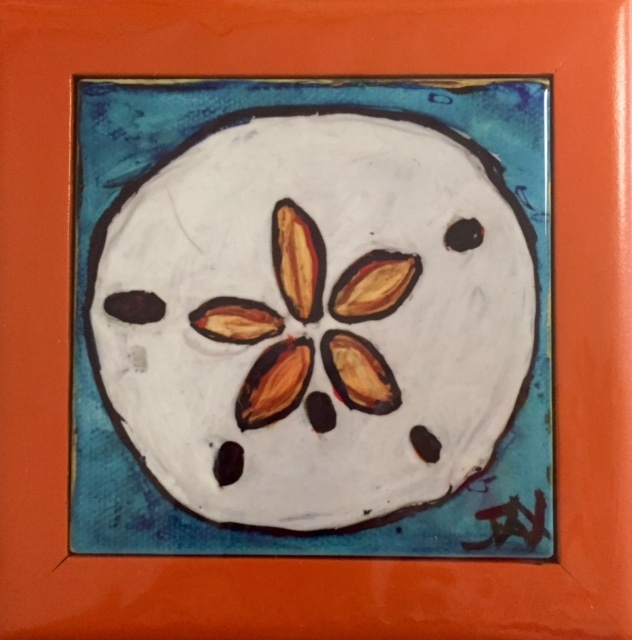 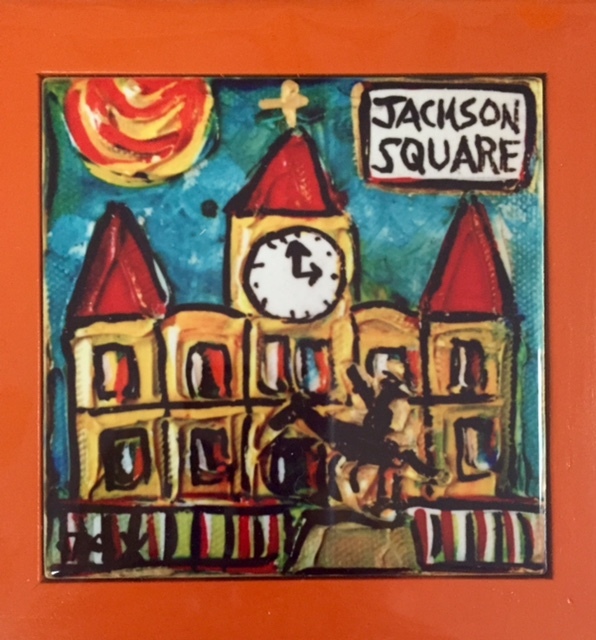 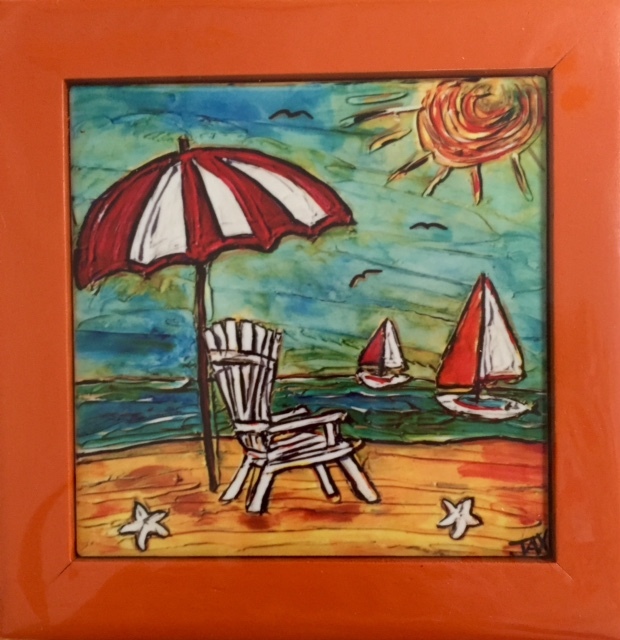 Jax prints on ceramic tile framed in orange/rust wooden frames with hanging hook on back. 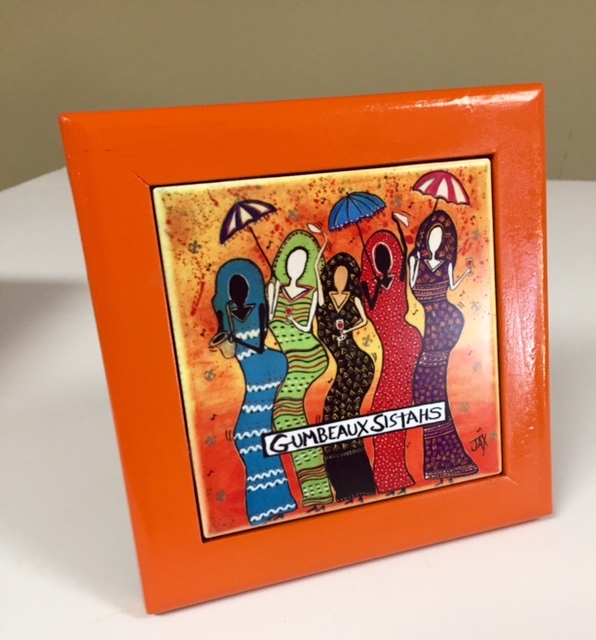 Super -cute as a wall grouping! 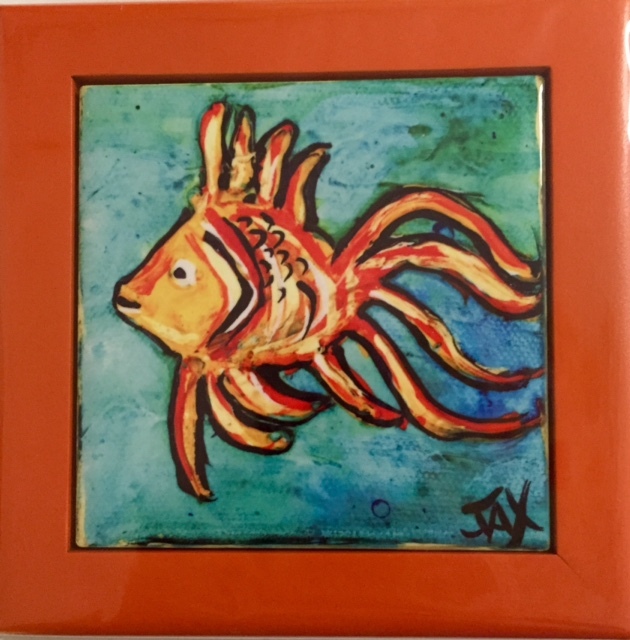 Also comes with a removeable wooden 'leg' for standing up on any surface. 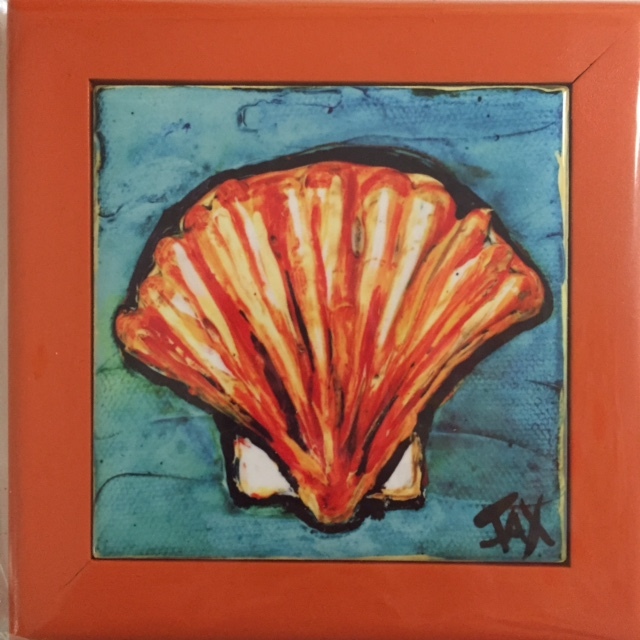 Suitable for use as a heat-resistant trivet. 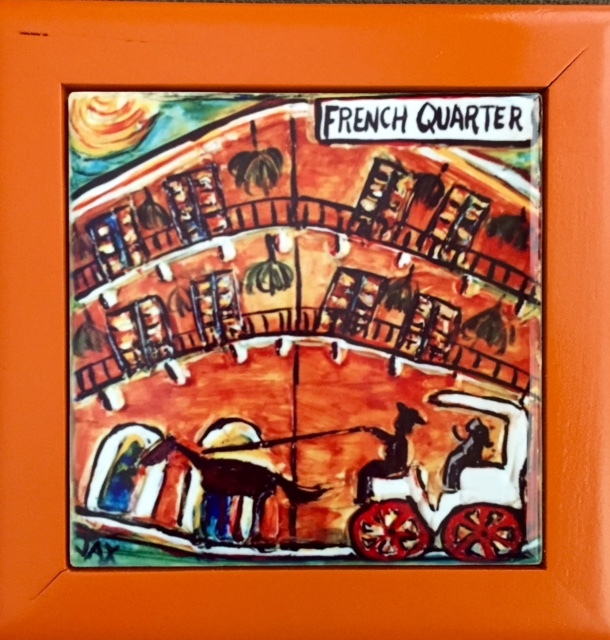 6 x 6"